37047 & 37114 City of Worcester round the curve at Old Denaby on 9 August 1997 with the Pathfinder Tours 1Z30 14:30 Edinburgh to Swindon 'Edinburgh & Borders Excursion' railtour. This was in the days when I used to spend a lot of time chasing railtours. 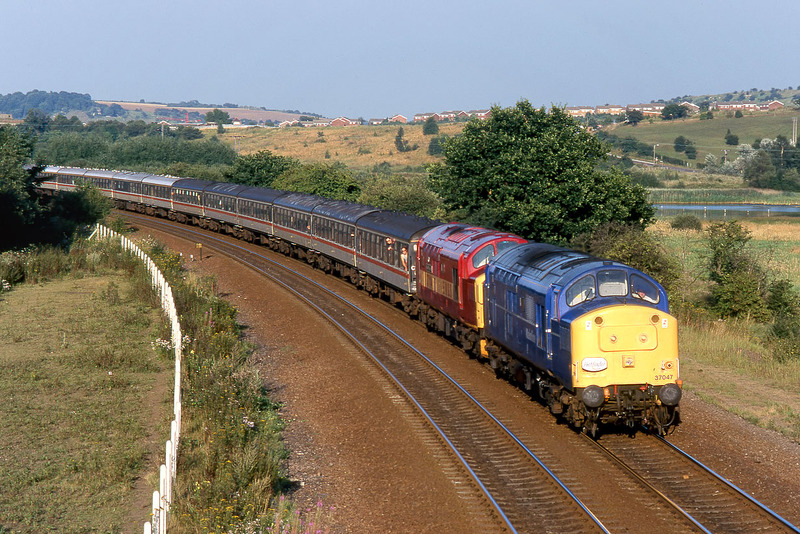 In fact, the reason this less than ideal location was chosen, is that it was the best I could do, bearing in mind that I had just travelled up to Yorkshire from Kent (via the Dartford Tunnel) after seeing 37678 & 37417 on one of Rail Magazine's 'Ramsgate Day Out' specials!